If you’re not already on the bandwagon, it’s not a matter of if, it’s a matter of when. 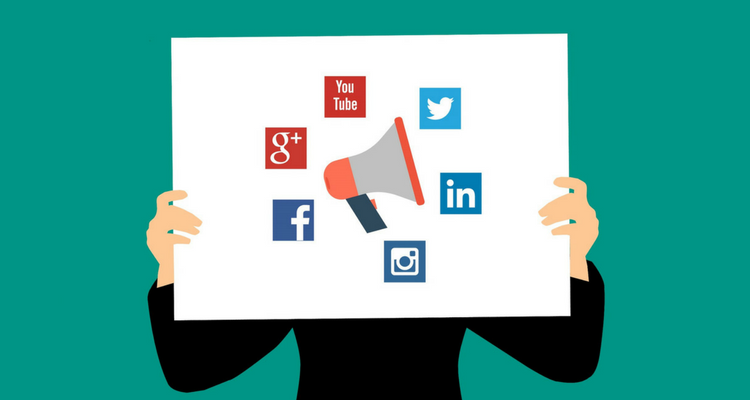 For the rest—from the occasional Facebook poster to the obsessive Twitter manager—there’s probably still a lot more to do in order to harness the full power of social media. Here’s a look at some of the most creative ways local governments are using social media today. It’s time to get inspired. While your local government’s Twitter account probably isn’t as appealing as Ellen DeGeneres’s, many people will still push that follow button because there’s a promise of some useful information. Now, you’re in. You have the chance to regularly pop up in their feeds, and therefore in their lives. That one little connection opens up a whole new world of possibility for your relationship. All you have to do is provide the TLC. When you celebrate things happening locally, followers start to see you as the center of the community. Connecting with you means connecting with everything else around them. City of Evanston, IL promoting local art contest. Acknowledging wider achievements by local residents also helps grow the sense of community for your hometown. City of Silverthorne, CO shares pictures from their Olympic and Paralympic homecoming celebration. Posts don’t have to be complicated, sometimes a little nudge can get the conversation going. When you help residents connect to other residents, you’ve already served an important purpose. City of Hillsboro, OR calls for comments on their transportation map and publicizes upcoming events for conversations. Social media helps support and publicize your collaboration with other governments. Public perception of collaboration means less public perception of siloed governments. Chattanooga Mayor, Andy Berke, announces city collaboration to end homelessness. People will most likely follow your social media accounts because they think they’ll get a useful stream of information. Do not disappoint, but get ready to get creative. Using social media as a platform for public announcements is a no-brainer. But putting the extra effort in to spice things up makes people actually pay attention. New York City announces weather warnings with attention-grabbing GIFs. Promoting local events helps you connect with community organizations, while also keeping residents in the loop. You’re creating a tighter community and placing yourself at the center. City of Evanston, IL promoting a tour of black-owned local businesses. Giving a boost to other department specific city events helps too. City of Arlington, TX promoting an family even hosted by the City’s Park Department. Stories considered “news” by your local news station might miss some important things. Create engaging ways for residents to learn about, for example, the city council’s recent impactful decision, by connecting it directly to their lives. City of West Hollywood, CA tweeting out an episode of their local government news updates. For those still citing Robert Putnam’s Bowling Alone, social media is a godsend. It’s the chance to re-instill connection, and to reinvent the way we take part in our communities and democracy. Don’t miss out on the opportunity. Social media is the perfect way to bring old democratic institutions into the 21st century. It won’t solve civic engagement, but more people will participate if they know there are opportunities. City of Vancouver, BC empowering their constants to get involved with the local election. Social media also provides the chance to create new ways for people to engage with their government and their community. The platforms themselves are new forms of engagement with government, and captures millions of people who never would otherwise. City of Boston promoting a “mobile” city hall. Asking people to pitch in by making public requests can promote a culture of shared community. Just the request is a reminder they are part of something larger than themselves, and have the power to make a difference. Mecklenburg County, NC sharing a mosquito prevention tip to their community, with humor. As with every other sector, governments need to promote themselves, shaping their public image to reflect their true values and goals. Because social media allows users to add some personality, it’s one of the most effective self-promotion tools. If you haven’t heard, governments have brands. Anything with a public image has a brand. Whether or not you’re actively trying to shape it is up to you. Social media can be your best friend with this endeavor. City of Atlanta expressing their social media persona, much to the delight of a local resident. City of Kansas City, MO’s produces a personality-filled YouTube series “KC in 60”. Everyone working in local government knows you do amazing things every single day. Things that literally hold together the fabric of society. Does everyone know this? Why not? City of Chattanooga showing off their public works project. Have you ever scrolled through a social media feed to see something that gave you a warm, fuzzy feeling? The personal nature of social media gives you the power to shape the public image of your government overall, as well as specific agencies or departments. City of Beverly Hills centering their Public Works Department in a commitment to infrastructure and jobs. Social media is also an opportunity to get personal. Your government’s brand will have it’s own personality, but don’t forget about employees too. When people remember that government is made up of people just like them, they can better understand the reality of what local government is and how it works. City of San Mateo, CA showcasing their employee participation in #BiketoWorkDay. One of the things we learned from writing Being Nimble in 21st Century Citizen Service, is how few local governments strategically collect public feedback. Social media is the perfect channel to get a large, diverse array of input to improve your projects and processes. You can use social media as a platform to get input on projects from voices you’ve never heard from. The City of Redlands retweeting the SamTrans online survey on public transit fares. On platforms like Facebook, you can provide a permanent space for residents or visitors to provide reviews. Social media can also be an accessible, efficient place for people to ask questions, leave suggestions, or make complaints. NYC Transit shows another example of sourcing resident engagement on transit issues with a monthly Twitter Q&A. Social media is data. But data is only as good as what you use it for. Don’t miss out on the opportunity to gain insights into your audience by looking at the analytics that come built into social media platforms. Example analytics page for a Twitter account. Several years ago, many governments would have brushed off YouTube and Twitter as platforms not appropriate for the public sector. Now, you’d be hard pressed to find anyone saying social media is not for government. Keep this in mind when exploring new technology platforms (like Snapchat and Facebook Live) and how they might work to your advantage. [L] The City of East Providence, Rhode Island promotes an upcoming Facebook Live for their April Council Meeting. [R] The City of South Bend, Indiana uses Facebook Live to share their Mayor’s press conference regarding ongoing flooding. Social media can be incredibly fun. But using it creatively and effectively is also one important step toward a 21st century government. Toward a government with modern technology, customer-centric services, and an open embrace of the future. To learn more about how your local government can design customer-centric services, click below to see our eBook: Being Nimble in 21st Century Citizen Services.